Some things are just better together: cream and coffee, peanut butter and jelly, cats and bread, fusion power and manned Mars missions . . . 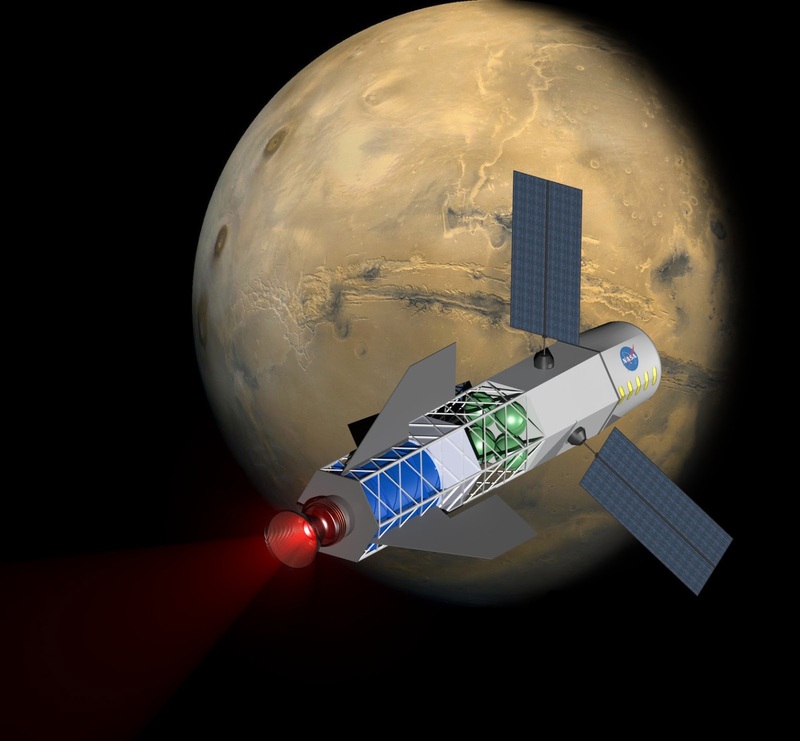 Feasible fusion power and Mars missions make such a wonderful pair because each one on its own is effectively impossible at the moment. So, what the heck? If you're going to do one impossible thing you might as well go ahead and do two. Thank goodness NASA is on the case. Of course, something that's impossible one day may be possible the next. That was true of airplanes, FAX machines, and in-door plumbing. But as far back as I can recall, fusion and interplanetary travel have been among the amazing things futurists have perpetually been telling us are right around the corner. All we had to do was be patient, and in twenty years or so we'd have essentially free fusion-generated power running our homes between our trips to vacation time shares on Mars. The are are, nevertheless, a few small problems that have been nagging us for the last fifty or sixty years. For one thing, magnetic confinement fusion is far from feasible even on the ground. For another, we don't really know how to protect humans from the radiation they'll experience outside the shielding of Earth's atmosphere and magnetosphere. Still, it's always a good idea to aim high. You might not hit the target, but you're bound to hit something, eventually. Once they do get the fusion rocket on the pad, and figure out how to keep the Martian immigrants alive, I'd love to be first in line - if I haven't died of old age already.